DAE HA UK gives your garments an extra edge! With high quality film technology developed in Korea, DAE HA is a leading Manufacturer and Global supplier of Premium Quality heat press Cad Cut and Printable (Digital) Films, for t-shirts, sports shirts, textiles, and garments. 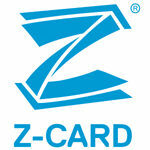 The Z-CARD® is a unique print marketing solution that spawned a whole range of PocketMedia®. We are constantly re-imagining our products to provide print that will stand out and be kept by its target audience, making sure your message is remembered.